Over on The Gospel Coalition site, I’ve written an article on the importance of viewing and preaching the Old Testament in light of Jesus’ death and resurrection. Don’t read the Old Testament pretending Jesus didn’t happen. After Jesus died and rose from the dead, his disciples saw the ancient promises differently. Those promises were no longer suspended in mid-air but became yes in Jesus. The types had found their antitype, the arrows their target, the shadows their Light. In light of the resurrection, people began to read the Old Testament through a Jesus lens. More precisely, Jesus taught the disciples how to see the Scriptures this way. The Law, Prophets, and Writings spoke about him, so “he opened their minds to understand the Scriptures” (Luke 24:44-45). The disciples needed a resurrection hermeneutic, so Jesus gave them one. The opening of the tomb meant the opening of the Scriptures. On April 18, 1999, I preached my first sermon at age 16. My life changed that Sunday morning when I finished the message. A calling descended upon my introverted tendencies and propelled me out of my comfort zone. The future was in vocational Christian ministry. Now, exactly 14 years later, and after saying “let’s open our Bibles together” more than a thousand times, I am grateful to be in the ministry preaching the Bible. 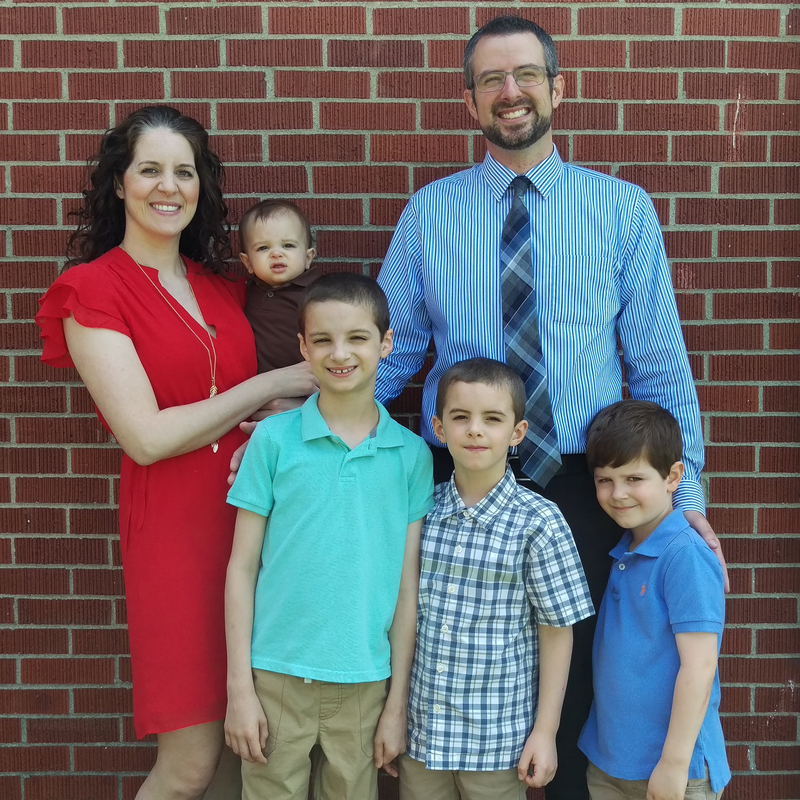 If I thought long and hard, I could come up with more than 14 lessons about preaching, but matching 14 lessons with 14 years is just the kind of numerical parallel a preacher would make. Yesterday I covered 7 lessons, and below is the rest. 8. Preach from the Old Testament – Don’t take my word for it, take the apostle Paul’s. In 2 Timothy 4:2 he told young Timothy to “preach the word,” referring to the Old Testament. So there you have it, a command for Old Testament preaching straight from the guy who wrote thirteen books in the New Testament. Think about it. When the apostles began preaching the gospel from the Scriptures, they couldn’t ask people to open their Bibles to the Gospel of John or Romans 3. They proclaimed Christ from the Old Testament, and we must do so too. Glory of glories that we also have the New Testament! But let us not neglect the canvas on which the story of Jesus was painted. The Christian faith begins not in Matthew but in Genesis. The Old Testament is Christian Scripture! Even a cursory reading of the New Testament proves that it expects you to know the Old. The New Testament is filled with so many images, names, places, references to events, echoes, and quotes from the Old Testament that to neglect it reduces the ability to understand the New. Since we should want people to understand the Whole Counsel of God, let’s study hard and preach the Old Testament to the people of God. 9. Don’t Cling to a Certain Genre of Passages – Avoid aligning yourself with certain genres while completely overlooking others. If you only preach from psalms or letters or parables, it’s time to branch out from your preference. An amazing reality about God’s Word is how he communicated his truth through so many different genres of Scripture. By your preaching, show others how to interpret different categories of Scripture. After all, over time in personal Bible reading, your people will digest passages from various genres, so corporate absorption of such material is helpful and needed. Be sensitive as well to the genre of a passage when preparing your sermon. You’ll want to preach a narrative differently than you would a psalm or one of Peter’s letters. Helpful resources for this task include A Basic Guide to Interpreting the Bible by Robert Stein, 40 Questions About Interpreting the Bible by Robert Plummer, According to Plan by Graeme Goldsworthy, Preaching the Whole Bible as Christian Scripture by Graeme Goldsworthy, God’s Glory in Salvation through Judgment by James Hamilton, Reading the Gospels Wisely by Jonathan Pennington, Interpreting the Pauline Epistles by Thomas Schreiner, Interpreting the New Testament Text edited by Darrell Bock and Buist Fanning, and The Scriptures Testify About Me edited by D. A. Carson. 10. Don’t Preach Everything You Learned about the Passage – It is a wonderful privilege to prepare a sermon. But let’s face it, the resources available can tell us far more about a passage than should go into a sermon. Your goal should be to preach the passage faithfully, clearly, compellingly. Your goal is not to say everything that can be said. This point calls for discernment. Out of excitement for what you’ve learned, the temptation may be to pile on insights, address the passage from every angle, and give all the historical information you found interesting–decisions which would certainly overwhelm the hearers who have not spent countless hours pouring over the passage and helpful resources. Growth in the craft of preaching involves the discipline of knowing what to leave out and why. Matters that might titillate the minds of seminary students in a classroom do not necessarily belong in a congregational sermon. This is true with the original languages too. Just because you can read and pronounce Hebrew and Greek doesn’t mean you should do so in your sermon. As a general rule, it’s best not to. This “sentence” isn’t necessarily for your hearers, but it’s definitely for you. Forming this sentence will crystalize your thoughts as to what exactly you’re trying to convey. Don’t make the sentence too complex, and try to write it with active verbs. Aim to conform your sentence to the point of the passage. In other words, make sure you’re trying to communicate the same thing the passage is! If you form this single sentence and discover it’s different from what the passage is saying, it’s time to rewrite that sentence. Don’t use the biblical text as a platform to communicate what you’d like to talk about. 12. Rehearse Illustrations Before the Sermon – Illustrations should illumine the point you’re making, but botched and bumbled ones don’t serve the hearer. Many preachers find a great way to drive home the concept they’re preaching, but they don’t walk through the illustration before the moment of delivery. This is a mistake and sets up the preacher for a memorable moment of public awkwardness. An easy way to avoid fumbling your illustrations is to rehearse them ahead of time. Out loud. The whole thing. A few times. Rehearsing your illustration(s) will help the flow of phrases stick in your head. Your transition can be smoother, you can aim to be concise, and going over it can give you the chance to make sure it’s appropriate and helpful. If you’re telling a story, can you pronounce the names and places? Do you have the order of events correct? If you’re reporting that the illustration is true, do you know, to the best of your research, that it is? If you’re telling a story about others and planning to use their real names and situation, do you need their permission? Is every element of the illustration appropriate and acceptable? Sometimes it may be helpful to run your illustrations by others whom you trust, and hopefully they will confirm that it’s a good one to use. Sometimes, though, others spot an incongruity when we don’t, and they can save you from a bad illustration! 13. Sit Under Your Own Preaching – The preparation process is important for the soul of the preacher, but so is the act of preaching. The people of God gather to hear the Word of God, and we sit under such authority as we stand behind a pulpit. This means that the preacher, the herald of the Word, is under such authority even in the act of proclaiming it. The Word of God through us is still the Word of God for us. Your prayer should be that God work in you as you preach and teach. Pray that his Word be as a sword for the division of your marrow as well as theirs. We need to be preachers affected by the Word we’ve prepared to preach, and this effect should be evident as we preach it. The sound of our own voice can still carry God’s Word to our hearts in ways we need it most. We need conviction, edification, encouragement, rebuke, and instruction. May our sermons be a source of strength for our souls as we preach , and may we recognize that we–along with our hearers–are people of God under the Word of God. You are not above the message you’ve prepared. Sit under your own preaching. 14. 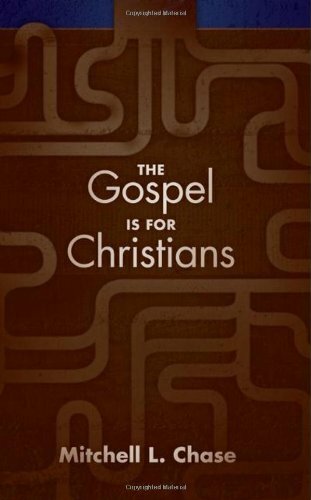 Get to the Gospel – I believe in reading the Two Testaments with a Christological lens and end-game, so we should be eager to preach about Jesus in our sermons. We must get to the Gospel. The Old Testament points to and prepares for the Gospel’s coming, and the New Testament announces the Gospel’s arrival, so talking about Jesus in your sermons should be common practice. Don’t preach the Bible as if Jesus hasn’t happened yet! Preach the Bible in light of the person and work of Christ. The Gospel is the greatest news in the universe, and we should incorporate this News into our message for God’s people. The Gospel is for Christians, even as it is for unbelievers. Someone once said to a room of preachers, “Ask yourself what it is that makes your sermon a Christian sermon,” and that’s a statement worth thinking about. In the power of the Spirit, we should testify of Jesus to the glory of the Father, and we testify of Jesus in our sermons by getting to the Gospel, the news centering on his vicarious death and victorious resurrection. So in your preaching, make sure you get to the Gospel. Here are the first 7 lessons in a two-part post. 1. Listen to Great Preaching – Pay attention to those who excel at doing what you’re called to do. Musicians must listen to great music, directors must learn from great movies, and authors must read great books. Preachers are no exception to this principle. In history and in the modern day, God has gifted his Church with tremendous pastor-teachers. Listen to how these preachers handle the Bible, how they apply the text, how they illustrate their points, how they turn a phrase for maximum impact. Since YouTube doesn’t have video clips of Spurgeon or Edwards, read their manuscripts and let their words feed and shape your soul as a preacher. It’s difficult to limit my favorite preachers to only a handful, but be edified by the likes of Alistair Begg, Ligon Duncan, John Piper, D. A. Carson, Voddie Baucham, Paul Washer, Paul Tripp, Russell Moore, Jim Hamilton, and Sinclair Ferguson. 2. Be Receptive to Feedback from Trusted People – You need feedback–especially early in your preaching as you’re learning to prepare a discourse on the World’s Most Important Book, but also throughout your ministry. Preachers must want to be instruments used by God, but don’t settle for being a dull instrument when the Lord can use feedback from others to sharpen you. Experience matters, so seizing opportunities to preach will place you in situations where others can give you constructive criticism. You need to know (ideally, as soon as possible!) whether you have verbal phrases or nonverbal ticks that are distracting and need to be modified or nullified. Technique is not what saves people, but listening to feedback can certainly help others listen with less squirming and cringing! 3. Learn, Read About, and Grow in the Craft – Building on what I just said, people committed to preaching should strive to preach well. The task of a preacher is manifested publicly and orally. A preacher should continually strive to grow in the craft because he cares about his calling and his listeners. While the ability to preach is ultimately a gift from God, the mechanics of the craft itself can be improved. Tone of voice matters, because varying your tone and pitch are helpful to listeners. And volume should vary, for no one wants to listen to a preacher shout or whisper his entire sermon. Eye contact communicates to people that you’re aware they’re there and that what you’re saying is God’s Word for them. You’re not talking to the air, you’re talking to image-bearers. Read books on preaching. Good ones include Biblical Preaching by Haddon Robinson, Christ-Centered Preaching by Bryan Chappell, Preaching and Preachers by D. Martyn Lloyd-Jones, The Supremacy of God in Preaching by John Piper, Between Two Worlds by John Stott, Preaching With Bold Assurance by Hershael York and Bert Decker, Spirit-Led Preaching by Greg Heisler, and Saving Eutychus by Garry Millar and Phil Campbell. Whether you’ve been preaching for a year, ten years, or sixty, retain the mindset of a student of preaching. Be willing to learn, grow, and improve. 4. Pray for Yourself, Sermon, and Hearers – The preparation of the preacher is important, along with the preparation of the sermon. Those are not two different endeavors. The heart of the preacher should be wrapped up in the text being preached so that the preparation process is a sanctifying one. Pray for your soul as you study. Pray for insight, conviction, and conformance to the image of Christ, for yourself and your hearers. It is a dangerous thing to listen to a sermon because hearers may be hearers only (Jam 1:22), so pray for their response, their obedience, their glad reception of biblical truth. Pray that you’ll manage your time well as you prepare. Pray earnestly for focus, wisdom, understanding, and the courage to say what God says in his Word. Pray that your preparation will make you a better father, husband, and man of God as you leave your desk and return home to your family. Be aware that God will often bring into your life opportunities to apply the very thing you’re preparing to preach. 5. Don’t Fret Over Fancy Outlines – Can I tell you a secret? People don’t remember your fancy outline from 3 weeks ago, and you probably can’t recall it either. If every week you’re giving hearers acrostics or alliterated points, know this: they don’t stick. You may have spent hours (please don’t!) crafting fancy and clever outlines, but that time is better spent elsewhere. Spend that time mulling over the text, aiming for clarity of thought and pursuing the best interpretation. If you give an outline, a textual one may be best, perhaps showing in the bulletin the divisions of the passage you’re preaching. If you preach from a manuscript that gets published on your church website, then thinking about the headings is important for the outline of the message, for the outline is no longer for your personal use or even your oral delivery but for visual clarity and organization on a public medium. If you don’t preach from a manuscript but give a passage breakdown aloud at the start of the message, people may then have a chance to mark their Bibles accordingly or jot down the divisions in separate notes. But beyond that, don’t labor each week to create memorable outlines for your sermons. 6. Preach Tough Texts – Since all the Bible is profitable for teaching, reproof, correction, and training in righteousness (2 Tim 3:16), show your hearers how to handle tough texts. Let’s be honest, some parts of Scripture are easier to craft a sermon from than others! Prepare a message from a genealogy, a long psalm, a section of Obadiah, or a chapter of Revelation. Show your hearers that you really believe God speaks through all his Word. What a congregation deems as “tough” may be due solely to unfamiliarity. Expose them to Ezekiel, to Leviticus, and the Song of Songs. 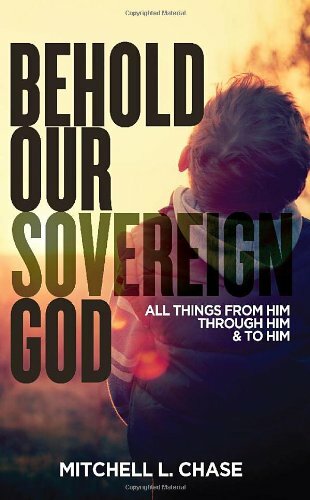 Preach on the “sons of God” in Genesis 6, the “slaves and masters” household codes in the Epistles, and the killing of the Canaanites in the book of Joshua. Tough texts are there for preaching, not for window-dressing. Some passages require more work and study because of their complexity, but don’t be a lazy preacher! Put in the time. It’s okay if you’re learning as your hearers do. And be honest about the toughness of some passages. If there are thorny interpretive issues, it may be wise not to delve into all the details of those, but don’t make the opposite mistake and pretend the passage is cut and dry and easy to understand for anyone with two eyes and a brain. 7. Preach Controversial Texts – This point goes along with the last one. Texts may be tough for a number of reasons and controversy is certainly one of them. But controversial texts aren’t there to be avoided. They’re not strategically positioned to bridge the texts you should actually address. The Bible speaks to all sorts of things you should talk about when you’re in those texts. Don’t board a boat and head to Tarshish when you come to passages about predestination, hell, homosexuality, end times, speaking in tongues, divorce and remarriage, and women in ministry. Preach them! Study hard, pray for humility and wisdom, and tell people to open their Bibles with you to Romans 9 or Revelation 20. Years ago, when I was writing 3 different expositions a week for Sunday morning, Sunday evening, and Wednesday evening, I unknowingly set myself up for a particular week of controversial texts when the passages fell on predestination, speaking in tongues, and women in ministry. What a week that was! Spread out your controversy better than I did. There is a lesson hidden in this story, however. 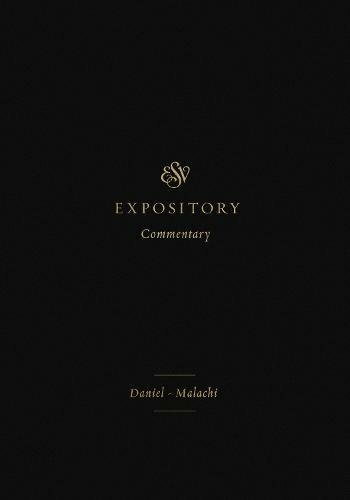 When you preach expositionally, and when that exposition takes you through whole chapters and books of the Bible, you can’t avoid tough and controversial texts. Chapter and book exposition forces you to deal with the next passage. Even weeks away from a hard text, at least you know it’s coming. Tomorrow, I’ll give 7 more lessons learned. The rebels or their cause. In Matthew 12:38, the Pharisees demanded a sign from Jesus, but he refused. They’d seen and been aware of his previous miracles, so their demand wasn’t from a lack of supply. Their demand stemmed from their opposition against him. Jesus put the right label on what he was dealing with: “An evil and adulterous generation seeks for a sign,” he said (Matt 12:39a). Their particular seeking was wrong because they were evil. They were adulterous because when they opposed Jesus, they opposed the One who sent him, the Father they claimed to worship and honor. But Jesus gave them a sign anyway–or at least he announced one ahead of time. “An evil and adulterous generation seeks for a sign, but no sign will be given to it except the sign of the prophet Jonah” (Matt 12:39). The Pharisees knew the story of the disobedient prophet who would rather die in the crushing waves of the sea than preach to the Ninevites and risk their repentance. The part of the story in Jesus’ mind was Jonah’s temporary residence in the fish: “For just as Jonah was three days and three nights in the belly of the great fish, so will the Son of Man be three days and three nights in the heart of the earth” (Matt 12:40). Then comes the rebuke: “The men of Nineveh will rise up at the judgment with this generation and condemn it, for they repented at the preaching of Jonah, and behold, something greater than Jonah is here” (Matt 12:41). The shorthand: if the Ninevites repented, then you have no excuse, for the Son of Man who is preaching to you is greater than Jonah who preached to them. Historical correspondences are present. Jesus refers to Jonah and his preservation inside a huge fish as historical events. Jonah descended, and Jesus will descend as well. The number “three” is common in Jonah’s experience and Jesus’ upcoming resurrection. Jonah preached to people heading for judgment, and so did Jesus. Not every detail must match. Jonah didn’t die, though Jesus would. Jonah descended into a fish, Jesus into the grave. Jesus wasn’t dead for the same length of time Jonah was in the fish. The men of Nineveh repented at Jonah’s message, but the Pharisees continue rejecting Jesus. Escalation is evident. Comparing himself to the 8th century prophet, Jesus said, “behold, something greater than Jonah is here,” and clearly he meant himself. Interestingly some of the differences in the story highlight the escalation. Jonah went into a fish, Jesus went into a tomb. Jonah was spat out, Jesus was raised up. Jesus was greater. In Matthew 12:39-41, Jesus himself helps us understand typology by showing us historical correspondences, relieving us of the need to match every detail, and highlighting escalation between type and antitype.